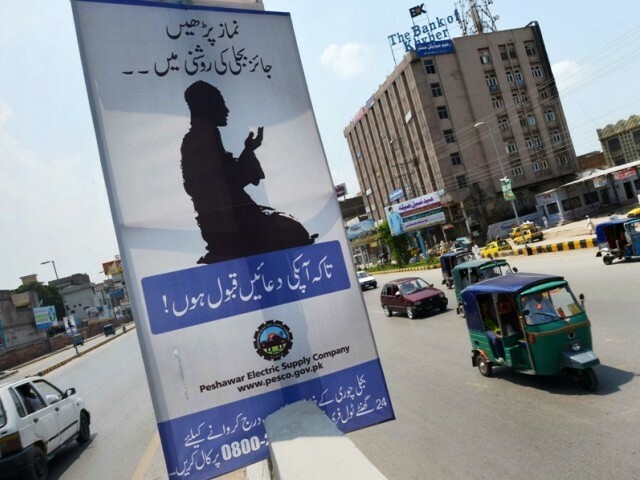 The Peshawar Electric Supply Company (Pesco) is appealing to its customers' religious consciences in a desperate bid to get them to stop stealing electricity -- a major hurdle in efforts to stem crippling blackouts. Pesco has taken out front page adverts in three major newspapers in the country's northwest during the Islamic holy month of Ramadan, reminding readers that stealing electricity is a sin. �Do your fasting, pay zakat (charitable donations) and serve your parents, but do these things by the light of legal electricity,� the ad says. Across Pakistan, from cities to villages and from slums to posh neighbourhoods, people steal electricity every day, usually by means of a metal hook known as a �kunda� connecting the house directly to power lines in the street, bypassing the meter. �If I get a connection, half of my monthly income would go in electric bills. I am not a fool to pay for their corruption and inefficiencies,� he told AFP. The blackouts have hammered industry and agriculture, shaving two percent off GDP according to the finance minister and Sharif's government, elected in May, has said finding a solution is its top priority. �It is a complex matter and would take a couple of months to be sorted out and we would clear off the circular debt by August,� he said. All over Karachi, jumbles of hooks connect overhead lines to homes, adding the threat of electrocution to the perils of life in Pakistan's crowded metropolis. 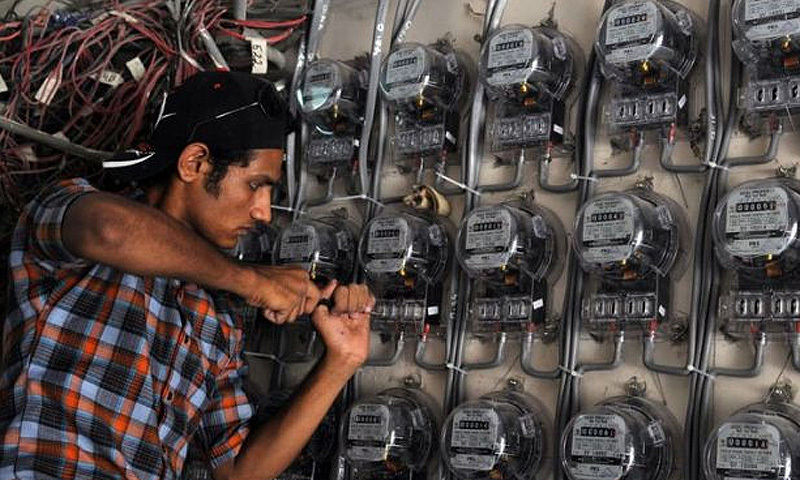 �The theft accounts for about 30 percent in our system inflicting heavy financial losses to our company,� said a senior engineer of Karachi Electric Supply Company (KESC). For the rest of Pakistan �transmission and distribution losses�, which include theft, run to 20 percent according to the Water and Power Development Authority (Wapda). �You cannot call it a theft, it is our right,� Khan Ali, from Mohmand tribal district, where the Warsak dam was built, told AFP. �I used to get high electricity bills, 3,000, 4,000 rupees, then one of my neighbours introduced me to the meter reader and the monthly bill is never more than 700 rupees,� he told AFP.